^ Dawe, Donald G. Srī Gurū Nānak Dev. Encyclopaedia of Sikhism. Punjabi University Patiala. [18 August 2015]. 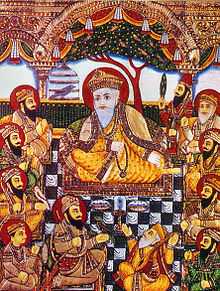 ^ 古鲁那纳克诞辰日(GURU NANAK JAYANTI). 印度之窗. 2011年11月17日 [2018年8月23日] （中文（中国大陆）‎）.